Home / FAQs / Symantec / How to pass the Business Validation and Extended Validation for my Symantec SSL Certificate? 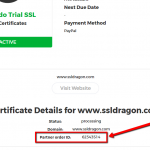 How to pass the Business Validation and Extended Validation for my Symantec SSL Certificate? All Symantec SSL Certificates require customers to pass the Business Validation or Extended Validation process. On Symantec SSL Certificates, these two validation processes are identical. As a part of the Business Validation or Extended Validation process, you need to provide information about your company and your company’s phone number. You need to provide your DUNS number to Symantec, and your DUNS profile needs to display your phone number. You can check your company’s DUNS number / profile at this website: https://www.dandb.com/. If you see that your DUNS listing does not contain a phone number, then you need to contact Dun & Bradstreet (at https://www.dandb.com/) and ask them to add your phone number to their “business directory and on the report”. Please note that after asking DNB (Dun & Bradstreet) to add your phone number to your DUNS listing, it will take them a few days to do this update. You should expect to receive an email message from DNB saying that your DUNS profile has been updated successfully. Your phone number will start appearing on your DUNS profile on the https://www.dandb.com/ website only after you get that confirmation message from DNB. At that point, you should contact Symantec at +1 (877) 438-8776 (select option #1 and then option #2), and provide them your Symantec Order ID and your DUNS number. 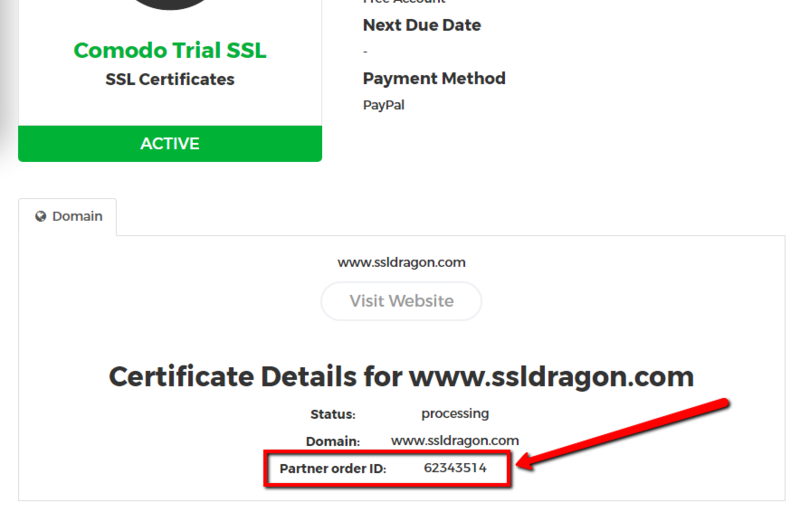 You can find your Symantec Order ID on your SSL Certificate’s details page inside your SSL Dragon account. See the screenshot on the right. Symantec will proceed with the callback verification process to verify your phone number. Once that is completed, your Symantec SSL Certificate will be issued to you. If adding your phone number to your DUNS listing takes too long, you can ask Symantec to tell you what alternatives you have for passing the Business Validation or Extended Validation. Symantec can send you an email message with information about a legal letter which you can write, then take it to a notary for them to sign it, and then scan and send it back to Symantec by email. The letter will have your company name, address and phone number. Once Symantec receives it, they will do the callback on the number which you provide in the legal letter, and will issue your Symantec SSL Certificate shortly after that. Other certificate authorities have this practice too, so providing a legal letter is a common method for passing the Business Validation and Extended Validation.